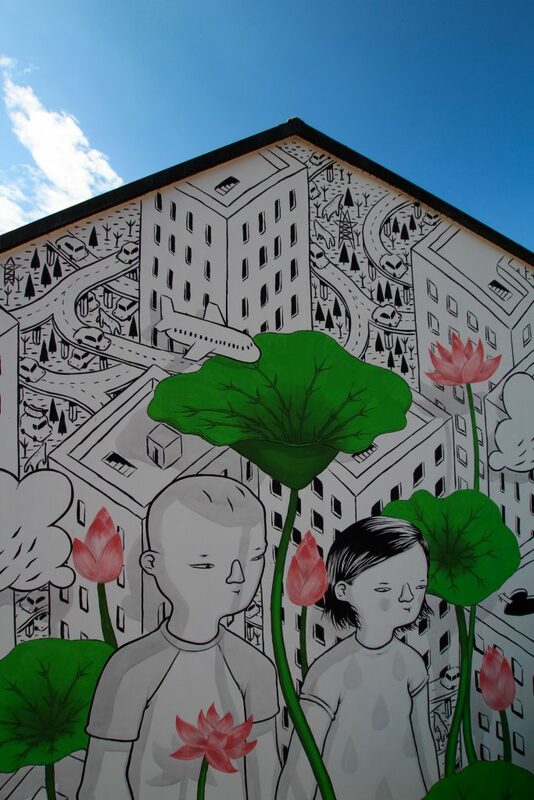 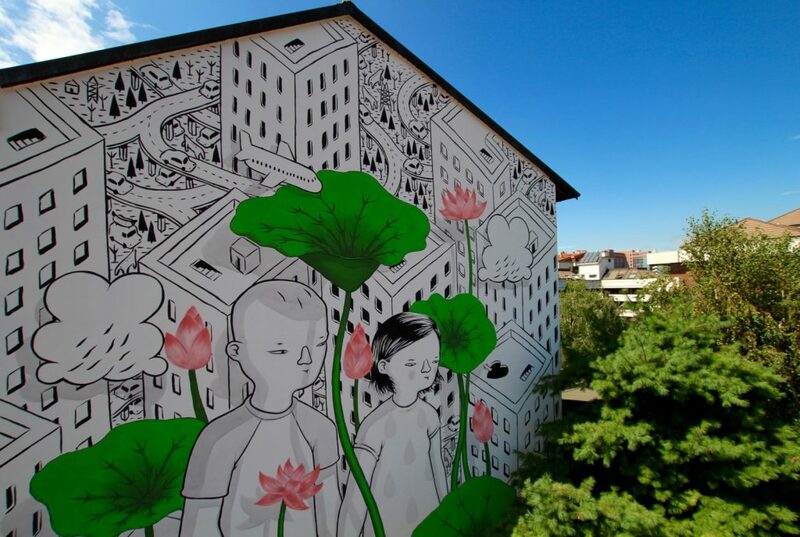 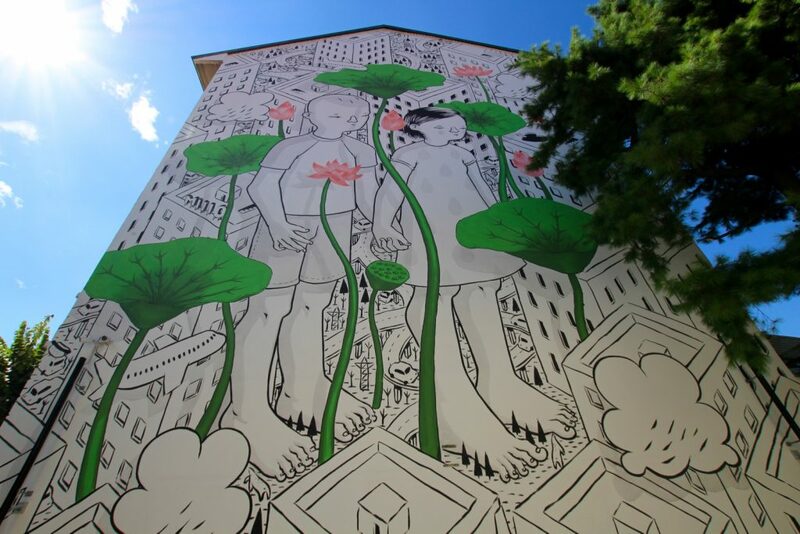 Mural artist Millo recently crushed a new in the city of Milan entitled “In Bloom”. 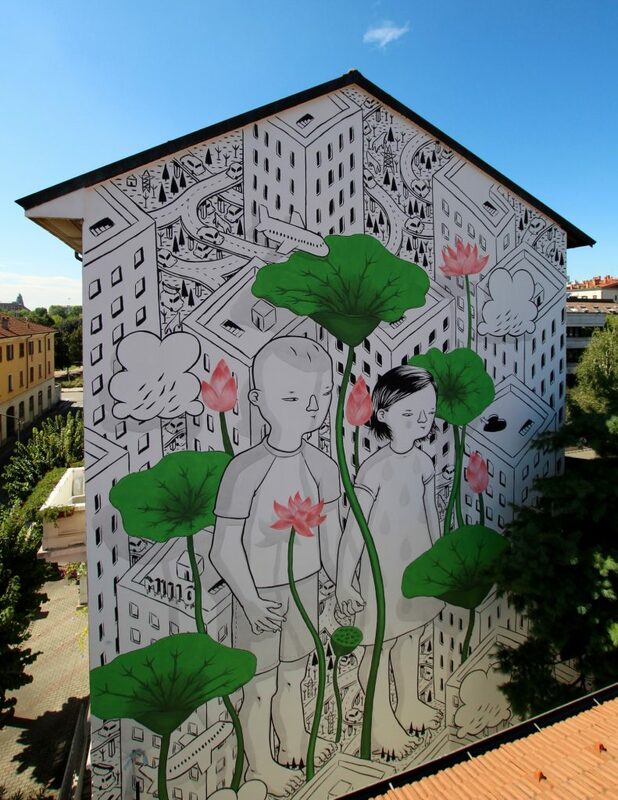 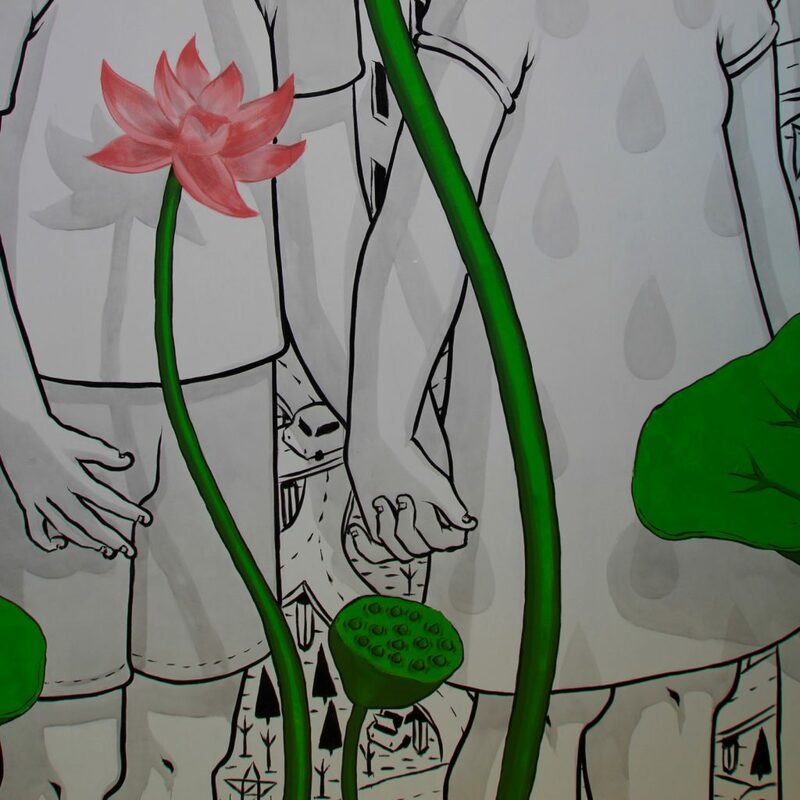 The Italian painter went sky high spanning a number of stories tall and features his signature black and white characters with hints of colour made possible by lotus flowers. 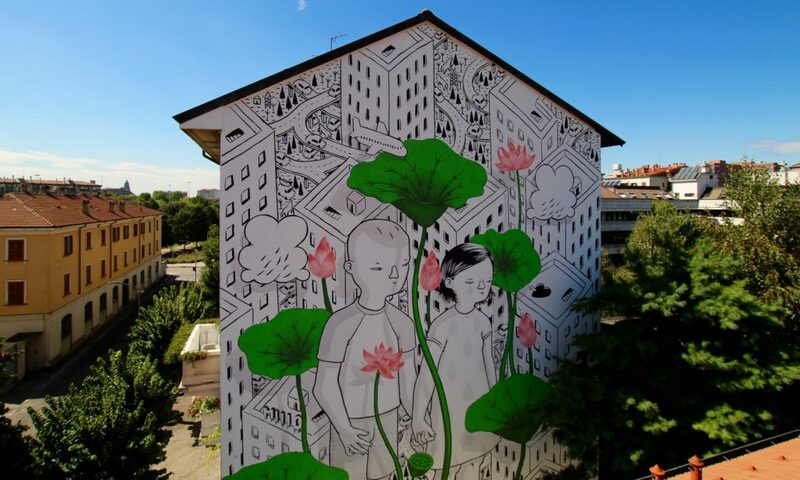 This mural can be found in the district of Bruzzano.